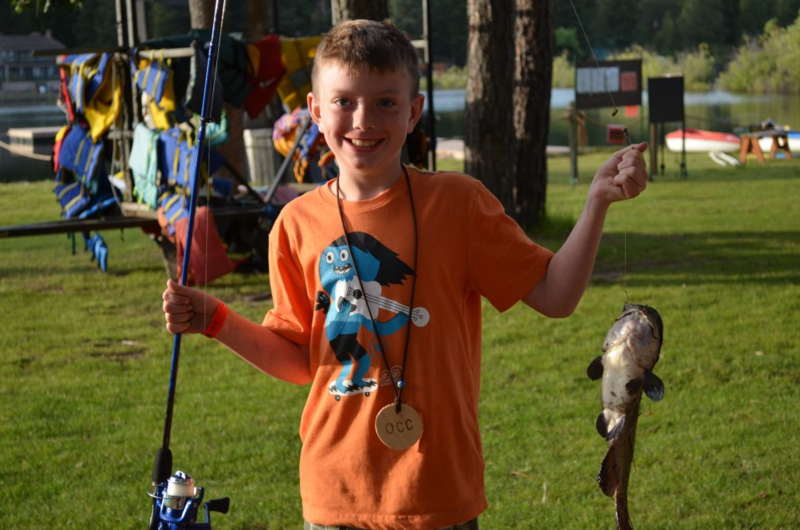 Oregon Camp Cedarbrook has many fun and exciting activities for campers ages 8-18. Canoeing, archery, drama, nature craft, outdoor cooking, and fishing are just some of the daily activities offered. Enjoy free-time every day by swimming or canoeing. You could grab a treat at the camp store, or play basketball with friends! You can also play mini-golf, take a trip down the water slide, hang out with friends or make crafts. The possibilities are endless! For pricing related questions or to register NOW – please go to our Registration page. Campers grades 3-6 get to have a camp out where they cook meals over the campfire, sleep out under the stars, and have fun with counselors and friends. They also get to participate in our Adventures Activities, which they will sign up for when they come to camp! These activities are designed especially for them! During the week campers (grades 7-12) get to go offsite for a camp-out as well as a fun activity of their choosing. This overnight will be led by Youth Dynamics, a Christian professional organization whose leaders are trained in rock climbing and instruction. For more information about their organization; check out their website www.yd.org. If you have any questions contact Marjie “Tweety” Randall at director@oregoncampcedarbrook.com. You will need to bring sunglasses, sunscreen, long pants. hat, tennis shoes/or closed toe shoes good for climbing. First night with YD Adventures at fair grounds, then day of Geocaching in Maupin and Rock Creek areas. Check out more about them at www.yd.org. If you have any questions contact Marjie “Tweety” Randall at director@oregoncampcedarbrook.com. Campers will need to bring sunscreen, a water bottle, good walking closed toe shoes and ready for a day of fun! Download our CLUE after May 1st to find out all the necessary details about camp, such as what to bring, forms you need to have filled out, our special dress up dinner, and so much more! Need directions? Or want to know what the campground looks like? Visit our forms page and scroll to the bottom. Oregon Camp Cedarbrook offers scholarships to campers with financial need. Camper (or parent, for younger campers) must complete the Scholarship Application located on the forms page. The amount of the scholarship is dependent upon the resources available and the number of applicants. Oregon Camp Cedarbrook (OCC) now offers house parties! A OCC Marketing Representative will come to your house and give a presentation on camp. All you have to do is invite your friends and their children. It is a great way to bring a bit of camp to your home and have all your questions answered in person!